A nightstand like no other, the Amsterdam Nightstand from Modloft remains a perfect choice for those who appreciate the minimalist aesthetic. This first-rate nightstand boasts a gray concrete top over pine oil treated gray oak veneer, ensuring exceptional quality. 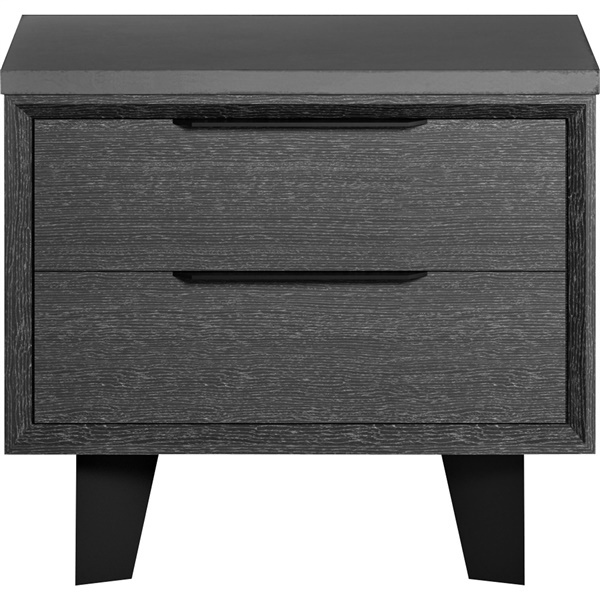 In addition, the nightstand features two spacious drawers and black powder finish legs that complement any modern d�cor beautifully. Add a wonderful nightstand in your contemporary bedroom that will perform well day after day with the Amsterdam Nightstand. Features two drawers, offering ample storage space. Sleek, minimalist design makes the nightstand a great fit in a contemporary bedroom. Long, low-profile drawer pulls further enhance the nightstand's overall appearance. Includes a black powder finish on the legs that ensures long-lasting quality. 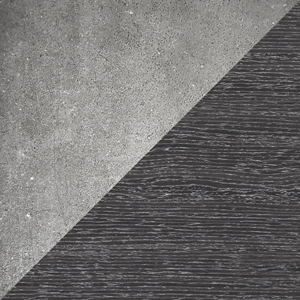 Available with a stunning gray concrete top over pine oil treated gray oak veneer. Composite wood construction delivers outstanding value.